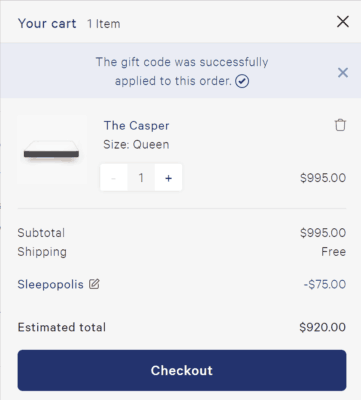 Casper and Casper Wave Mattress Discount Promo Code! Saving money on a new Casper or Casper Wave mattress is simple! It’s back! 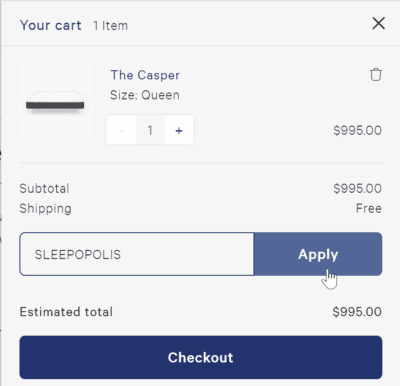 After several months of hiatus Casper has provided an updated discount promo code coupon for Sleepopolis readers. Saving a few bucks on your new Casper mattress is easy. Simply enter discount promo code “SLEEPOPOLIS” at checkout. You’ll save $50 instantly on any sized Casper mattress order. Boom! That’s it. You just saved yourself an extra $50! 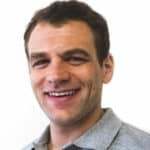 Looking for more details on Casper? 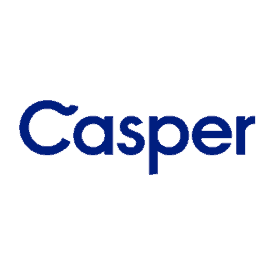 Check out our Casper mattress review series below.